Several weeks ago I had the pleasure of going to Marie Saeki PR's showroom. 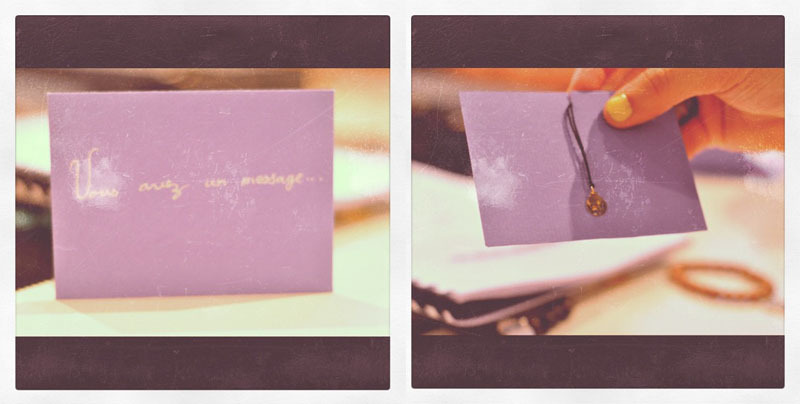 My friend and I took a peak at the beautiful jewelry of Rita and Zia. I was a HUGE fan of all the beaded bracelets (you know how I love a good arm party). Even better, is that each pendant means something. For instance, the Tiger represents energy. It's great when you can actually wear jewelry that signifies something. 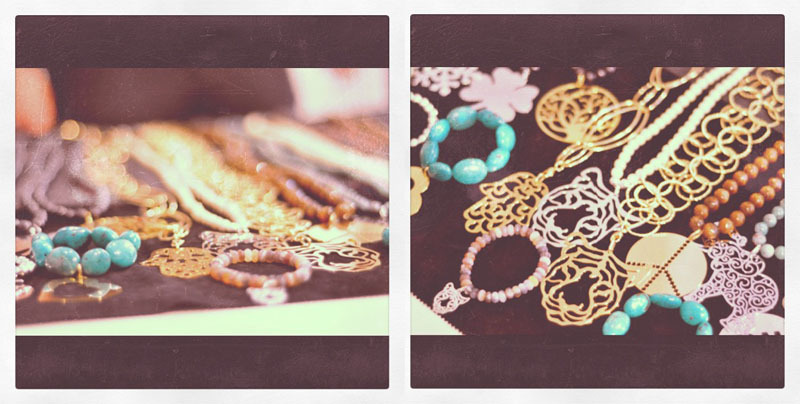 Even MORE exciting is that my friends and I got to play around with the jewelry during a photo shoot! Can't wait to show you those photos tomorrow. Stay tuned! All so pretty and unique I'd totally add some of them to my jewelry closet! pretend apartment hunting? sounds like something I'd enjoy doing! 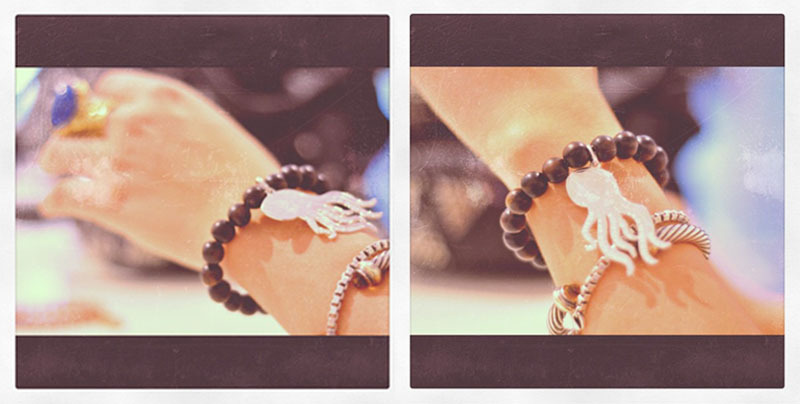 the octopus bracelet is so darling! Really pretty! 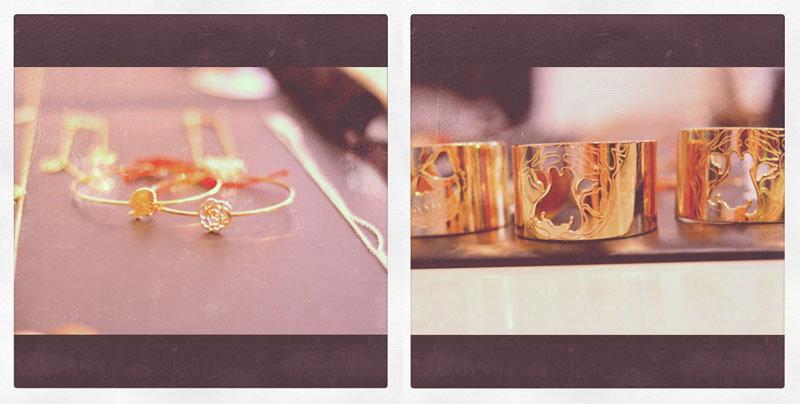 Love the dainty bangles!! I am a huge fan of chocolate milkshakes, new towels, and those cut out cuff bracelets. True story. wow amazing photos- you looked like you had so much fun, great move on wearing denim! 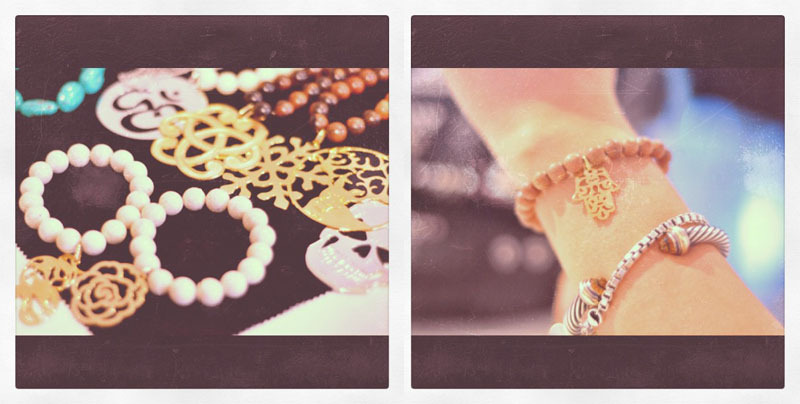 Love all the gold trinkets!